So if you’re feeling like creating but you’re just too dang lazy to get out all the paints then this is the perfect journal spread for you! You’ll see me creating here in my altered book. 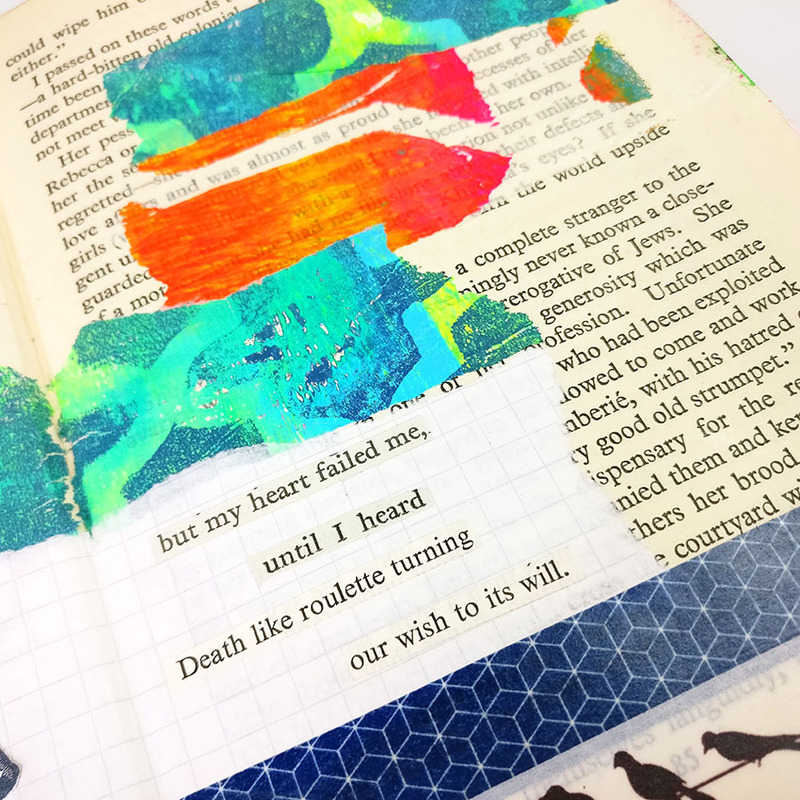 Be sure to check out this blog post here where I share with you my top five lazy tips for working in an altered book. Are you noticing a theme here yet?? Yup, I can be super lazy sometimes and honestly, my Art time can be so precious and limited I am not interested in wasting it on anything unnecessary! So to get around the not using paint issue I dug into my stash of gelli printed tissue paper which I always keep handy for just such lazy emergencies! Seriously though this is one of my top supplies as it allows me to add some cool looking layers without adding bulk, especially when I work in my altered book. So I was tidying up around my art table and I found this little skull that I had cut out ages ago and not used. I knew I wanted to make sure that I used it in my journal spread. There is just something about bones, anatomical drawings and especially skulls that really floats my boat. Maybe because it creates such a strong reaction in people? You either love or hate them and, if you love them we are soul mates! I had some of the Urban Fringe Art Pops™ from Roben-Marie Smith and they added the perfect highlight on my page right next to my skull. It was still missing something and of course, the answer was washi tape. The answer is always washi tape in my opinion!